The world renowned Lygon Street in Carlton is the Little Italy of Melbourne. Amongst the many options on offer it may be hard to sift through the deluge of Italian fare. Never fear, with your We Know Melbourne guide in hand let our concierge team direct you to Lygon Street’s very best – we’ve even recommended some non-Italian places that won’t be in your everyday guide. DOC Espresso | 326 Lygon St | 9347 8482 Charming Italian waiters, a simple Italian menu with great coffee, it’s all a bit chaotic but it works! + Duck in next door to DOC Deli for high quality, artisan Italian produce. Brunetti’s | 380 Lygon St | 9347 2801 This Melbourne institution has a massive range of cakes, sweets & pastries. Pidapipo | 299 Lygon St | 9347 4596 Authentic Italian artisan gelato with Nutella hot sauce on tap. Seven Seeds | 106 Berkeley St | 9347 8664 A few blocks from Lygon St but well worth the walk, this is possibly Melbourne’s very best coffee house. Market Lane Coffee | 176 Faraday St | 9804 7434 This specialty coffee has now opened their 3rd store right next door to Baker D. Chirico in the heart of Lygon St.
DOC | 295 Drummond St | 9347 2998 Fantastic homemade pizza using imported ingredients, just a short walk from Lygon St.
Tiamo 2 | 305 Lygon St | 9347 0911 Great hearty home style Italian, exactly like what Nonna would cook at home. Donnini’s | 320 Lygon St | 9347 3128 A relaxed atmosphere & traditional cooking make this a great family friendly restaurant. Di Mattina’s | 306 Lygon St | 9347 5500 An iconic family run Italian restaurant. Il Gambero | 166 Lygon St | 9663 2246 Consistently good food & service with all the usual favourites on the menu. Trotters | 400 Lygon St | 9347 5657 A small space serving great Italian fare & breakfast until 3pm daily. Kaprica Pizza | 19 Lincoln Square | 9347 1138 A cosy pizza joint that is helping to bring the real Italy back to Lygon St.
Carlton Wine Room | 172 Faraday St | 9347 2626 A warm & inviting space where the focus is on wine, but also a good place for a drink and bite to eat. Jimmy Watson’s | 333 Lygon St | 9347 3985 An iconic wine bar that has been around forever & is the ‘meeting place’ on Lygon Street. Heartattack and Vine | 329 Lygon St | 9005 8624 This cicchetti bar is the latest addition to the Lygon strip. Little Markov | 352 Drummond St A cosy & modern bar that is one of Carlton’s best kept secrets. Abla’s | 109 Elgin St | 9347 0006 An extensive home style Middle Eastern menu in an understated setting with warm family service. Tank Fish & Chippery | 149 Lygon St | 9040 2124 Classic fish & chips though not your usual greasy corner shop fare. Markov Place | 350 Drummond St | 9347 7113 An affordable & delicious modern menu. 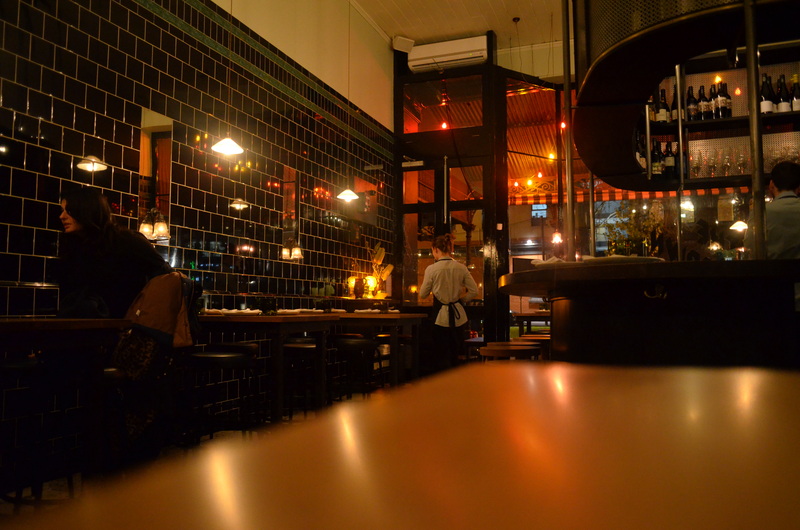 Lemongrass | 176 Lygon St | 9662 2244 Serves beautiful Thai dishes in a stylish room of dark timber & Thai artifacts. Shakahari | 201-203 Faraday St | 9347 3848 A vegetarian restaurant that mixes Asian & Indian flavours with a modern twist. The Town Mouse | 312 Drummond St | 9347 3312 A stylish and intimate European restaurant perfect for a romantic date. Cinema Nova | 380 Lygon St | 9347 5331 Melbourne’s home of quality arthouse & mainstream cinema. The Original Lolly Store | 239 Lygon St | 9347 5641 A sweet tooth’s delight! King & Godfree | 293 Lygon St | 9347 1619 A gourmet paradise of fine wine, premium spirits, local & imported food produce. 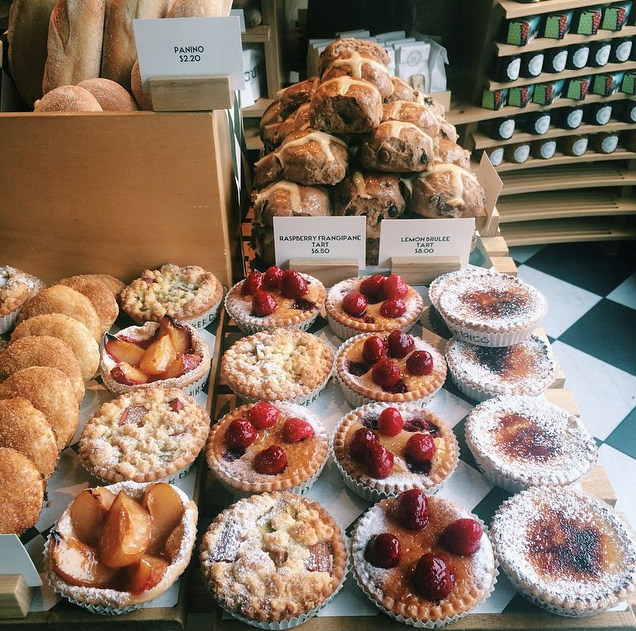 Baker D. Chirico | 178 Faraday St | 9349 3445 These artisan bakers from St Kilda have brought their amazing produce to the streets of Carlton. La Mama Theatre | 205 Faraday St | 9347 6948 Australia’s home of independent theatre presents cutting edge, contemporary productions. Readings Bookshop | 309 Lygon St | 9347 6633 A simply great local bookstore. Download our Lygon St Guide here.